On Sale Now! 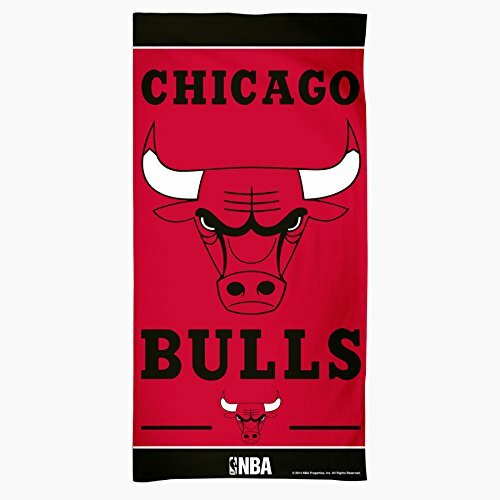 Save 10% on the NBA Chicago Bulls Fiber Beach Towel, 30 x 60-Inch by WinCraft at Basket Express. MPN: A1868815. Hurry! Limited time offer. Offer valid only while supplies last. Our best selling towel! Great fun at 30'' x 60'' or 5 feet of 100% cotton enjoyment. On the beach, in the dorm, or just when you need a big towel. Our best selling towel! Great fun at 30" x 60" or 5 feet of 100% cotton enjoyment. On the beach, in the dorm, or just when you need a big towel. Fiber reactive printed for the highest quality. WinCraft Cleveland Cavaliers Vs. Golden State Warriors NBA 2017 Finals Dueling Beach Towel 30" x 60"